The USBC member count show us with 3390 paid bowlers in the VPUSBC for 2014 / 2015. This does not include the bowlers paying local dues only which there are 30 bowlers giving us a total membership of 3420. The 3420 bowlers in this association have received 363 total VPUSBC awards this season.In addition, there have been honor scores reported to the USBC totaling 93 (300’s) and 51 (800’s). There would have been more awards but some leagues did not turn in award applications. This entry was posted in VPUSBC, VPUSBC NEWS on June 11, 2015 by Virginia Peninsula USBC. The 2015 Virginia State USBC Pepsi Youth Championships were held April 11th through May 3rd at AMF Hanover Lanes in Mechanicsville, Virginia. The tournament is ALL scratch in ALL divisions and the top bowlers from each of the divisions will advance to the National Junior Gold tournament in Chicago. 3rd Dawson Maier, SpareTimes 230 average 225 263 223 (711) 195 289 220 (704) total 1415. The Virginia Peninsula USBC would like to congratulate all our Youth Bowlers for an outstanding performance and representing all of us in the VPUSBC we’re very proud of each of you! 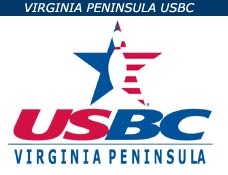 This entry was posted in Tournaments, VPUSBC NEWS on June 10, 2015 by Virginia Peninsula USBC. The Association is interested in your views on our new Bowling Clinic Program, we would like your thoughts and opinions on what clinics you feel would most benefit you and your bowling teammates. Please take the survey and let us know! 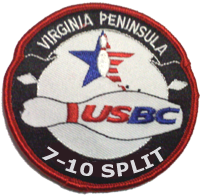 This entry was posted in VPUSBC, VPUSBC NEWS on June 8, 2015 by Virginia Peninsula USBC. The 2015 Virginia Peninsula USBC Women’s Tournament was held at Sparetimes in Hampton over the weeks of May 9th – 17th. Team Classic (620 and up) Handicap in 1st Place were Joy Chappel, Kris Butz, Karen Shuler and Renee Brubaker with a total score of 2827 out scoring the second place team of Lisa Saitta, Anna Laughlin, Jennifer Snell and Mary Tabor-McCabe by 145 scoring 2682. In the Team Regular (619 and Below) Handicap in 1st place with a total pin count of 2850 Tracy Pastella, Bonnie Steep, Amy Means and Donna Gaddis and in second place the team of Stacy Calhoun, Gladys Little,Brenda Hubbard and Adele Dudley with 2,785. In the Double events Classic (310 and up) Handicap Sara DiScioscia and Ammanda Tate rolled a combined 1505 out shooting second place Angel Ferris and Diane Dye with 1431. Doubles Regular (309 and up) Handicap in 1st place were Marcia Strickland and Kristen Kornacki with 1474 and four pins behind them with 1470 the team of Diana Clark and Antoinette and thrid place another four pins back Brenda Hubbard and Adele Dudley. Double Classic Scratch Sara DiScioscia and Ammanda Tate once again top the field with a 1289 with the Mother Daughter team of Susan and Rebecca Glazier coming in 2nd with a score of 1,209 and third Joy Chappell and Kris Butz with 1186. Re capping the Singles we start with the Classic 155 and above finding Lisa Saitta in 1st place with 767, second Lora Tabor 753 and Ammanda Tate 746.Regular 154 and below 1st place Geray Mccaywith 798, 2nd place Katie Beaulac 777 and 3rd Sarah Bercaw 743. Singles 155 and above Scratch Karen Shular with 625 series takes 1st Place closely followed by Amanda Tate with 617 and Sara DiScioscia with a 614. The All Events Class ic 155 and above Handicap was won by Amanda Tate with a total pin-fall of 2135 with Darlene James 35 pins back with 2099 and 5 pins from her in 3rd Bobbie Brown with 2094. Regular 154 and below Handicap Antointte Crespo with a total pin-fall of 2172, in second Tracy Pastella 2161 and 3rd Debbie Myers 2152. Scratch 155 and above Rebecca Glazier came out on top with a total of 1882 averaging 209.11 for 3 series, Renee Brubaler 2nd averaging 205.88 with a total pin-fall of 1853, Sara DiScioscia with a total of 1828 came in 3rd averaging 203.11 for 9 games. This entry was posted in Tournaments, VPUSBC, VPUSBC NEWS on June 2, 2015 by Virginia Peninsula USBC.